With several decades of proven stability, quality and business ethics, our people remain at the core of our service excellence. Our team is comprised of a blend of youthful enthusiasm and wise seasoned veterans. The unmatched expertise of our engineers, project managers, estimators, and execute management team ensures precisely planned and well executed projects. 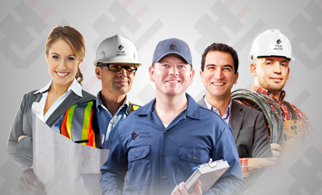 Together with our superintendents, foremen, trades people, and office staff, we strive to surpass the needs and expectations of our customers. 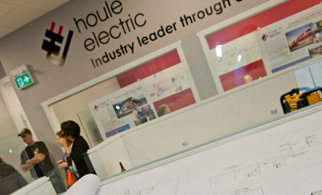 Our team is dedicated to maintaining Houle’s position as the industry leader through customer choice. As President of Houle, Paul provides leadership and direction to the organization and supervises the overall performance of the company. With a degree in Finance and Management and over 20 years of executive leadership within Canada, the United States, and Australia, Paul has successfully managed and grown a variety of companies worldwide. He has held previous roles as President, CEO, COO, and Managing Director for the resources, civil, business services, contracting, and manufacturing sectors. As an experienced business leader who knows how to build brand value, Paul also understands that a great vision and excellent strategy is not possible without a strong motivated team. Committed to establishing a collaborative culture, Paul’s passion is to lead great teams focused and relentless about pursing their vision. Paul’s passion also extends to helping others; he is proud to have supported orphans and underprivileged children in Africa and the Philippines. Paul has been part of the TEC Australia Forum and is a standing member of the Nancy McKay CEO Forum since 2006. As Vice President of Projects, Ken plans and leads the Project group operations to deliver excellent customer service and prompt, high quality professional workmanship. Ken is also Houle’s Corporate Safety Officer, playing a key role in the company’s stellar, industry-recognized safety record. Ken joined Houle in 1993 as Superintendent. After 15 years as a Superintendent, Ken was promoted to the role of Regional Manager in 2008 and then to Vice President of Projects in 2013. Ken has worked in the electrical contracting business for over three decades. He has extensive experience in large equipment and high voltage contracting, with several years’ experience on Hydro projects in the oil and gas industry. Ken holds an A-Class Certificate of Qualification (BC) and is certified for Interprovincial Work. As a result of Ken’s leadership and dedication, Houle has won numerous industry awards for project quality and innovation. As Vice President of Service, Ross plans and leads the Service and Facilities Management group operations, ensuring the delivery of excellent customer service and prompt, high quality professional workmanship. Beginning his Houle career as a Foreman in Prince George in 1979, Ross soon moved into the role of Project Manager / Estimator, working in many controls, industrial, commercial, and institutional projects in the North including early controls and data projects. During this time in Prince George, Ross began his volunteer time in industry associations: Electrical Contractors Association of BC, Prince George Construction Association, and the Western Joint Electrical Training Society. 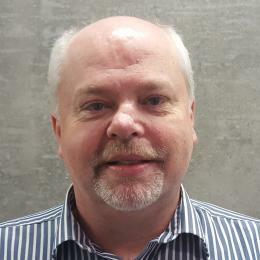 He moved to Victoria in 1986 to become Service Manager. In 1993, Ross accepted a position with AT&T Bell Labs. 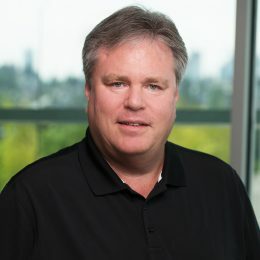 After a 5 year tenure managing their systems fibre and copper business for Western Canada, Ross returned to Houle where he accepted a position as Manager of the Network Systems and Controls Divisions for Vancouver Island. In 2001, Ross was promoted to Regional Manager in Victoria where he continued his involvement in construction association boards, working to raise money for various charities such as the Arthritis Society, Victoria Hospice, and United Way. He was promoted again in 2018 to his current role as VP, Services. 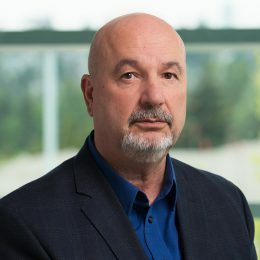 Ross is currently a Houle Board Member, Past Chair of the British Columbia Construction Association, Board of Director for the Canadian Construction Association, and Co-Chair of the Deputy Ministers Industry Infrastructure Council member of the Construction Foundation of BC. He received the Distinguished Service Award in September 2016 from the BC Construction Association, for his contributions to the growth and stature of BC’s construction industry. In March 2018, Ross was recognized with the 2017 Canadian Construction Association Trade Contractor Award for promoting and enhancing the Canadian construction industry. A passionate lifelong learner who enjoys mentoring, Ross can be often found learning how to, or helping others find, a better way to serve Houle’s valuable customers. As Vice President of Business Development & Technologies, Liliana provides leadership, direction, and expertise to the organization’s sales and technology function. She ensures technology operations support the strategic direction of the organization. Liliana also aligns sales objectives with the business strategy. Liliana joined at Houle in 2013 as the Security Division Manager. After 3 years in the role, she was promoted to General Manager, Low Voltage Services where she successfully managed the Low Voltage Divisions (Security & Life Safety, Building Controls Automation, and Networks Infrastructure). 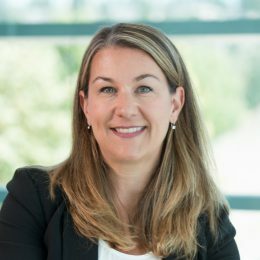 Liliana was promoted again in 2018 to her current role as VP, Business Development & Technologies. Her 15+ years of management experience in the successful development of security and procedures, including physical and electronic security measures and privacy regulations, has helped her achieve results. In addition to her mechanical engineering degree, Liliana also holds a degree in forensic science and technology. She has been active member of various associations including CANASA, ASIS, and TEC Canada. She holds a security license from the Province of British Columbia. As Vice President of Finance, Rois directs all financial aspects of the company including bonding, insurance, shareholder reporting, and management of the accounting department. Rois also establishes and implements growth-driven financial policies for the company, ensuring continued quality of service as the company expands. Rois has been Houle's VP of Finance since 1998. As a Certified Management Accountant, Rois served as a Senior Accountant with KPMG in their Business Advisory Services Group, was Controller for Budget Rent-A-Car, and Assistant Controller for Palmer Jarvis. Rois also operated his own independent consulting company prior to joining Houle. Rois is current Chairman of Trust for the BCCA Employment Benefit Trust. As Chief Estimator, Jonathan manages the estimating and tendering of major projects for Houle, ensuring that Houle’s tendering process meets the company’s rigorous corporate standards. He also provides support and mentorship for Division Manager and Project Managers across all regions. Jonathan joined Houle in 1999 as a Project Manager where he held that role for 10 years. He went on to become the Electrical Construction Division Manager in 2010 and then Chief Estimator in 2016. 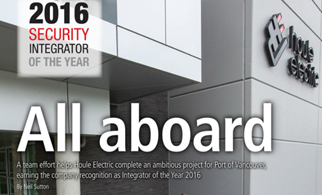 Throughout his career at Houle, Jonathan has led several flagship projects including the University of British Columbia Museum of Anthropology renovation, the City of North Vancouver Library, and several projects for P&O Ports including the award-winning berth expansion project. Jonathan recognizes that projects are run by people not companies, embracing the core values of integrity, hard work, and partnership. 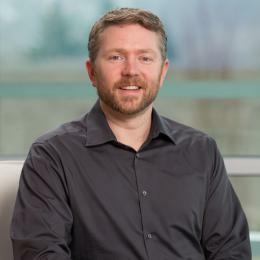 He holds a Bachelors of Applied Science in Electrical Engineering from the University of British Columbia. As Regional Director, Shawn directs the Services team to achieve the company’s strategic goals in relation to Services. He oversees the Vancouver, Kamloops, and Kelowna Service Branch operations and the integration of Services across all Houle product offerings within their operating region and targeted areas of expansion. Shawn joined Houle in 1990. He began his electrical career as an apprentice with Houle and spent four more years in the field as a Journeyman/Foreman. 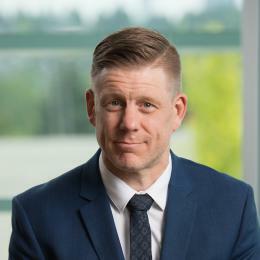 In 1998, Shawn moved into Project Management, and became Construction Division Manager for the Nanaimo and North Island Regional Office in 2005. During this time, Shawn demonstrated exceptional skills in design-build projects, healthcare projects, communications cabling and public infrastructure (water/waste) upgrades. In 2008, Shawn’s work for the Nanaimo Regional General Hospital’s new Perinatal Building was recognized by the VRCA, winning to top Gold Award in the electrical construction category. 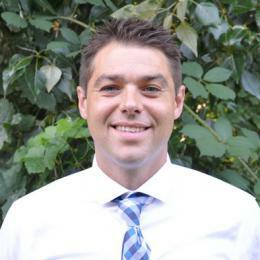 Shawn accepted the position of Vancouver Regional Manager in 2013 and his current role as Regional Director in 2018. 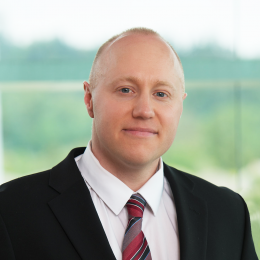 Shawn holds an Electrical TQ Certificate (BC) and has extensive training in Project Management/ Estimating Software and structured cabling technology. As Regional Director, Keith directs the Services team to achieve the company’s strategic goals in relation to Services. He oversees the Victoria, Nanaimo, Courtney/Comox, and Prince George Service Branch operations and the integration of Services across all Houle product offerings within their operating region and targeted areas of expansion. Keith joined Houle's Victoria office in 2004. In 2005, he relocated to Prince George as a Project Manager and Estimator. Prior to joining Houle, Keith spent 3.5 years as an electrician in the Northwest Territories. Keith has many years of experience with remote projects, commercial and industrial design-build, P3, and oil and gas. Keith was promoted to Construction Division Manager for Houle’s Prince George location in 2009. After 3 successful years as Construction Division Manager, Keith accepted an offer to manage Houle’s Prince George/Northern BC Regional operations in 2012. In 2014, Keith was given the opportunity to return to Vancouver Island to manage Houle’s Nanaimo/North Island Regional operations. He was promoted again in 2018 to his current role as Regional Director. Keith has been active since 2005 in supporting his industry through volunteering on a number of committees and boards. Keith was an active member of the Prince George Construction Association (PGCA) where he served in several capacities including serving as Board Chair. 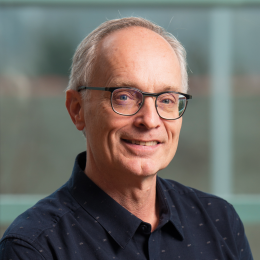 Keith is an active Director of the Vancouver Island Construction Association (VICA), Western Joint Electrical Training Society (WJETS), and the Construction Council of Vancouver Island (CCVI). Keith is also active in promoting apprenticeships through participation in the Vancouver Island University (VIU) Electrical Program Advisory Committee and through providing work experience opportunities for pre-apprentices. Keith holds an FSR and Red Seal Trade Certification. As Group Project Director, Wayne leads the project pursuit and estimating team at Houle. Wayne joined Houle in 1982 and assumed the role of Chief Estimator in 1997. With two decades as Chief Estimator for Houle, Wayne has led the tendering process for numerous high profile projects including UBC Life Sciences Building, Abbotsford Regional Hospital and Cancer Centre, BC Cancer Agency – Centre for the North, Surrey Memorial Hospital – Critical Care Tower, Joseph and Rosalie Segal Family Health Centre, Emily Carr University of Art & Design, North Island Hospitals (Comox Valley and Campbell River), and Penticton Regional Hospital – Patient Care Tower. He was promoted to the role of Director of Strategic Projects in 2016, with a change in title to Group Project Director in 2018. Wayne holds a diploma in Electrical Technology from the British Columbia Institute of Technology. He is also Gold Seal Trade Certified. As Group Project Director, Hamed oversees the Project Management function across Houle. He provides responsibility, authority, and accountability to support the planning and execution of projects and programs across all divisions. Hamed joined Houle in 2012 as an Electrical Field Engineer and Project Manager. Hamed was the Project Manager and Project Engineer for Houle’s largest project to date, the $200 million Kitimat Modernization Project. Hamed’s leadership skills and his commitment to the team resulted in meeting every milestone and turnover dates on the site and achieving an exceptional performance factor of 10% below the contract requirements which helped to save the customer millions of dollars on a cost reimbursable contract. Due to Hamed’s extensive project management experience, significant business acumen, and employee management and mentoring skills, Hamed was promoted to the role of Group Project Director in 2018. Hamed holds a Bachelor of Science in Electrical Engineering from the American University of Dubai. He is also registered as a professional engineer in Engineers and Geoscientists BC. As Director of Human Resources, Amber leads Houle’s people-focused initiatives, including strategic planning, leadership development, and recruiting. With over 15 years of experience as a Human Resources professional, Amber has significant practical and policy experience in her field, with special focus on employee relations. 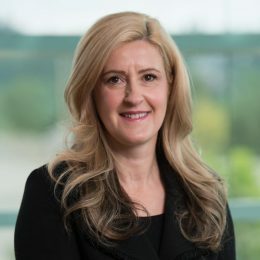 Prior to joining Houle in 2007, she held HR positions with notable industry players including Teck and Exp. Amber holds a Bachler of Arts (Hons) degree in Sociology from the University of Western Ontario and a Diploma of Technology in Human Resources Management from the British Columbia Institute of Technology. She also holds the Certified Human Resources Professional (CHRP) designation. As part of her initiative for continued development and market awareness, Amber is involved with industry committees such as the Electrical Contractors Association, Construction Labour Relations, and Vancouver Regional Construction Association (VRCA). As the Director of Emerging Technologies, Gabriel leads and coordinates efforts aimed to align technology vision with business strategy through planning, developing, facilitating, supporting, and correlating technology initiatives within Houle. 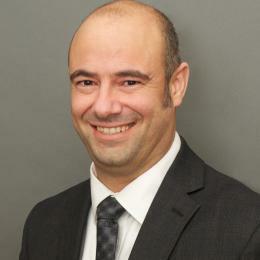 Gabriel joined Houle in 2002 as a Project Manager. He was promoted to the role of Division Manager for Vancouver’s Security team in 2007. 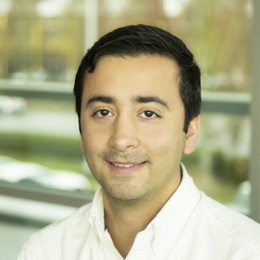 In 2013, Gabriel moved into the role of Strategic Technology Consultant, looking after all technology for Houle’s 3 low voltage teams: Networks and Infrastructure, Security and Life Safety, and Building Controls Automation. 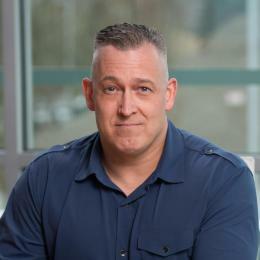 He was promoted again in 2018 to his current role as Director of Emerging Technologies. Gabriel has extensive experience in various systems including communications, building controls and automation, security, audio visual, and integration. Holding 3 degrees and having over 30 years of experience as an Electrical Engineer, Gabriel has developed a diverse background and skillset which has allowed him to have a unique perspective when it comes to a project. 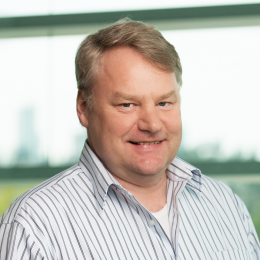 Gabriel was involved in BC’s very first P3 project, the Abbotsford Regional Hospital and Cancer Centre, and has since played a fundamental role in many others projects such as the award-winning Surrey Memorial Hospital Critical Care Tower project. Gabriel is licensed as a Security Consultant by the Ministry of Justice of British Columbia under the Security Services Act. As Technical Sales Director, Paul develops and delivers annual sales and marketing plans to meet Houle's strategic plan. Paul joined Houle in September 2016 as part of the Business Development Team. He was promoted in 2017 to Division Manager of Security and Life Safety and promoted again in 2018 to his current role as Technical Sales Director. Prior to joining Houle, Paul held positions as Technical Project Manager, Manager of Network Services, Director of Sales, and most recently Business Development Manager/Business Leader. In his last role, in his first full year in the leadership position, Paul exceeded sales goals and revenue expectations, helping the company realize an 88% increase in sales bookings over a one year span. With over 18 years of experience in the industry, Paul has proven analytical and project management skills in the areas of physical security, telecommunications, wireless, structured cabling solutions, and networked infrastructure. Paul has extensive corporate in-house management training on negotiations, mentoring, forecasting, legal review, and strategic business development. In addition to his Bachelors of Business Administration from the Hawaii Pacific University, Paul is also a Microsoft Certified Professional and Cisco Sale Expert and has received training on Avigilon ACC and ACM, Genetec CCTV software installation, and Lenel technical and sales. As Director of Technology Operations, Anthony plans, organizes, directs, and controls all building technology operations activities to assure profitable growth in alignment with Houle’s strategic direction. Anthony joined Houle in June of 2018. With over 25+ years of experience, Anthony is a management professional with a significant record of achievement in the areas of engineering, planning, product development, manufacturing, and finance – bringing leadership, results orientation, interpersonal skills, analytical abilities, and drive – to leading international organizations to achieve business targets and growth. As a testament of his management capabilities, Anthony has managed a 320 person cross-functional organization, doubled sales in a 12-month period, and managed the profit and loss for a $30 million business unit which designed and manufactured complex technical products. His operations/manufacturing successes include managing the manufacturing engineering function that encompasses process improvement, new product introduction, and the design and implementation of new assembly lines and processes; managing the production facility during a high growth period from $20M to $100M in revenue; and implementing ISO 9001 for manufacturing and Engineering organizations. Anthony has managed cross-functional engineering teams that developed complex electro-mechanical products, which included power generation, coolant heaters and air conditioning. These product required mechanical packaging, electronic controls, embedded software, combustion and extreme environmental protection. He was the past Advisory Board Member for Cummins CrossPoint Kinetics LLP and past Chair of SAE J2697 Recommended Practice for Inverter Systems on Class 8 Trucks. As Director of Managed Services, Roberto directs the implementation of the company’s strategic goal to offer an expanded line of managed building services. He oversees the integration of new building technologies and services within the Houle Operations Centre and the tiered Managed Systems Support team. Roberto joined Houle in 2014 as a Senior Project Manager. He was promoted to the role of Operations Centre Manager in 2016, designing, building, and operating Houle’s state-of-the-art Operations Centre. In this role, Roberto assembled and managed a team of operators, station manager, and systems support technicians. He also developed in collaboration with his staff, standard operating procedures using best practice principles. In 2018, Roberto was promoted to his current position as Director of Managed Services. Roberto is a Certified Information Systems Security Professional (CISSP) with over 13 years of experience in the security industry. Through his strong IT networking skills and practical implementation experience, Roberto has evolved as exceptionally knowledgeable in IP based security equipment and their installation requirements. His projects have included high security deployments within the gaming industry, military, municipalities, and private corporations. Roberto was a past Director of the Esquimalt Chamber of Commerce. As Director of Information Technology, partnering with the business, Rob leads the strategic direction of Houle IT infrastructure, IT operations, and enterprise applications in alignment with the corporate strategic business strategy at Houle. Rob joined Houle in 2013. He has over 23 years of IT experience spanning IT management, IT infrastructure and operations, and enterprise business applications. Prior to joining Houle, Rob worked across diverse industries including finance, insurance and banking, aerospace and defense, construction and professional services, health and wellness, and technology. 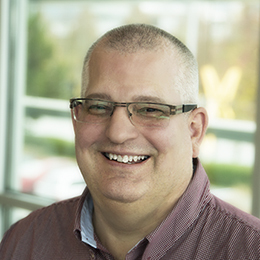 As a strong technology and operations leader with enterprise vision and strategic planning, Rob has successfully created, developed, managed, and directed talented technology teams within the IT landscape. Brian has helped Houle maximize value for our customers by encouraging integrated processes, rigorous planning, and continuous improvement. As a process innovator, Brian helped Houle start its Lean journey in 2013. In his current role as Continuous Improvement Manager, Brian and will be supporting the launch of the High Rise division at Houle. This includes supporting pre-planning and helping to develop standard components and strategies for the High Rise division. As a certified Lean Black Belt and GSC Superintendent, he has extensive experience in project management, production and cost management, scheduling, and quality. This expertise allows him to lead the implementation of effective and innovative approaches to project delivery that aligns with the needs of Houle’s customers. As Lead Superintendent, Matthew oversees total field construction efforts to ensure projects of all sizes and in all locations are constructed safely and in accordance with the projects’ design, budget, and schedule requirements. Matthew joined Houle in 2003. He spent 5 years as a Foreman and another 5 years as Superintendent for Houle’s Strategic Projects team. Due to his leadership capabilities, ability to collaborate effectively with multiple trades, and out of the box strategical approach to work, Matthew was promoted in 2018 to this current role as Lead Superintendent. Throughout his career, Matthew has successfully lead the Houle team to complete many high profile new build projects throughout British Columbia. Matthew was the Superintendent for new build P3 North Island Hospitals project that included the Comox Valley Hospital and the Campbell River Hospital. The $40 million Comox Valley Hospital project was recognized by the Vancouver Regional Construction Association (VRCA) for its project excellence and was awarded the VRCA Gold Award of Excellence. Other new build projects Matthew has been involved with includes the Penticton Regional Hospital Patient Care Tower, Uptown Mall, University of Victoria CARSA Building and Parkade, Rona in Langford, and Victoria General Hospital Emergency Addition. Matthew has his Red Seal Endorsement and is a certified Lean Black Belt.